GB WINES, "Champagne and fine Wines from France"
GB WINES was founded in 2008 to provide sales support for Wines and Champagne brands looking for export markets around the world. In October 2012, new management under the leadership of Jean-Yves DEYRAS was put in place. Jean-Yves is a successful oenologist with experience in Argentina and France, and he recently acquired the company from its founder. Jean-Yves has always had a passion for wine and wants to share his sales expertise around the world, representing French Domaines, Châteaux and Maisons de Champagne with international buyers. At 30, Jean-Yves settled in Argentina as “Flying Winemaker” for world-renowned winemaker Jacques Lurton. His short-term Argentinian assignment transformed itself into 7 years in Mendoza where he transformed a local wine-making operation into a fully-fledged international trading business. Today, Jean-Yves shares his expertise in international markets and brings great wine and Champagne brands to a portfolio of customers worldwide. His technical and commercial know-how of the wine business provide a strong link between local terroir & brands and markets & clients around the world. GB WINES is your connection between production and customers. GB WINES is rapidly expanding and can offer you a wide array of Wines and Champagne carefully selected on their oenological and commercial merits. 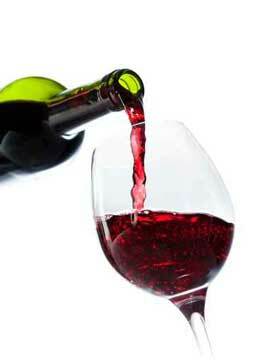 GB WINES offers a personalized service with careful follow-up and updates. GB WINES represents more than 25 Wineries, Châteaux and Domaines all over France. Strong partnerships with these entities allow GB WINES to offer long term commitments on both quality and supply. A broad portfolio of exceptional brands and reputable importers. Oenological expertise for training, tastings and advice. A wide network of contacts throughout the world to help importers find the brands they need for their markets and to help producers find the right customers for their brands. Representation at wine shows around the world to introduce wineries and their brands. You are a producer looking for a distributor? You are a reseller looking for quality wines?